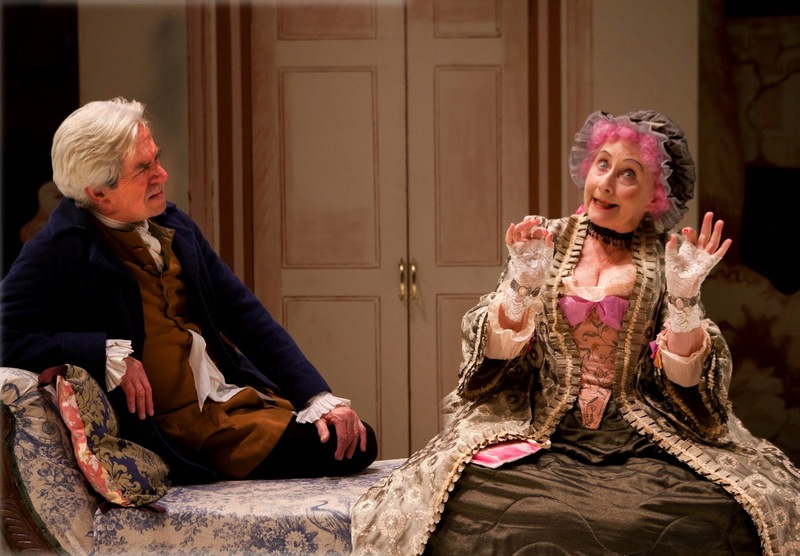 On its opening night in 1775, The Rivals was criticised by one actor in the audience as “intolerably long”. That may still be the case 240 years later, but it remains an enjoyable Restoration romp. The plot itself is typical of the genre, full of romance and marriage proposals, mistaken identity, deceiving letters and class reputations across its lengthy five acts. The wealthy Lydia Languish longs for her life to mirror the romance novels she eagerly devours; soon she gets more than she bargained for. That the programme comes with a detailed synopsis is a very welcome addition. Yet Richard Brinsley Sheridan’s play is often considered one of the masterpieces of the age and that remains clear centuries later. The narrative is thematically strong and easy enough to follow, the characters colourful and distinctive, and the language – so integral to the genre - is full of wit and humour, proving Sheridan to be a master wordsmith. The main success of this production, from director Selina Cadell, is its authenticity. Emma Bailey’s minimal set design has a pleasingly hand-crafted feel, whilst the scene changes are accompanied by sprightly dance music performed by the actor-musicians (under the musical direction of Eliza Thompson). Rosalind Ebbutt’s costume design is also of note, balancing authentic wigs and dresses with modern colour coordination to match the characters. Yet it’s the acting that truly takes centre stage here. 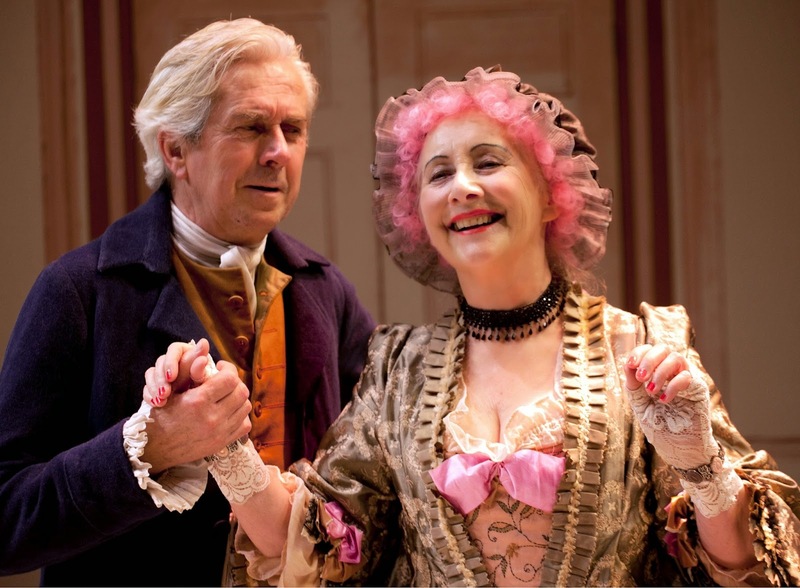 The cast is led by Gemma Jones (perhaps best known as Madame Pomfrey in the Harry Potter films, amongst numerous theatre credits) who plays the hilarious Mrs Malaprop. Her misuse of words and sayings provides frequent laughs; her character is Sheridan’s main conduit for wordplay. The acting style across the cast is full of eccentricities – from the love-struck Lydia (Jennifer Rainsford) and her melodramatic flouncing, to the pathetically wet Faulkland (Adam Jackson-Smith) and the contrasting servants Fag and David (both played by Carl Prekopp). Nicholas Le Prevost is also a joy to watch as the comically naughty Sir Anthony Absolute. Cadell gently pokes at the farcical nature of the play, with plenty of asides and audience participation providing opportunity for humour – eyebrows are raised, actors bow at every entrance and costumes and props are temporarily stored amongst the stalls. It may be long, but The Rivals never fails to entertain. 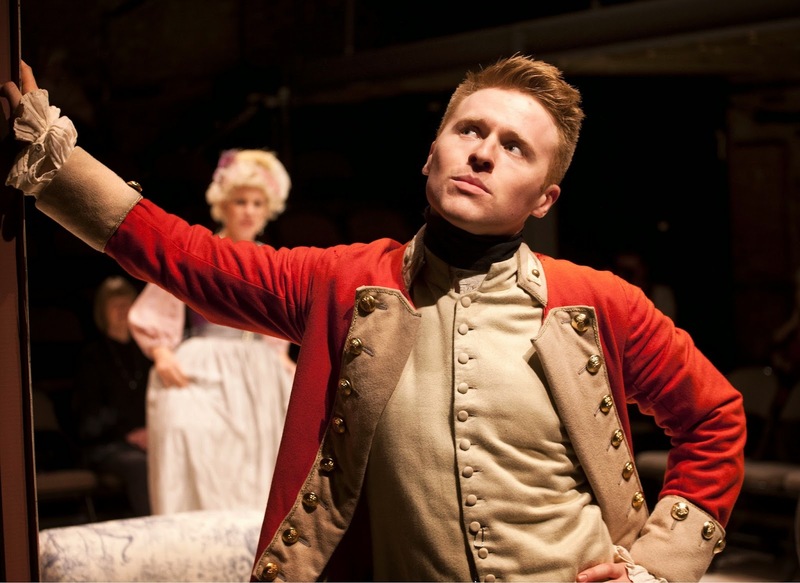 Watch: The Rivals runs at the Arcola Theatre until 15th November.